More and more frequently I come across stories of patients who have inadvertently received care from “out-of-network” providers. And it can be a costly mistake. I like all things snarky so I enjoyed reading a recent post by a physician poking a bit of fun at health and wellness fads. A study coming out of Harvard this week reveals that ordinary headaches are being overtreated, and it’s costing billions of extra dollars in health care spending. That’s why one of health care reform’s goals of pushing consumers to “have more skin in the game” won’t always work. 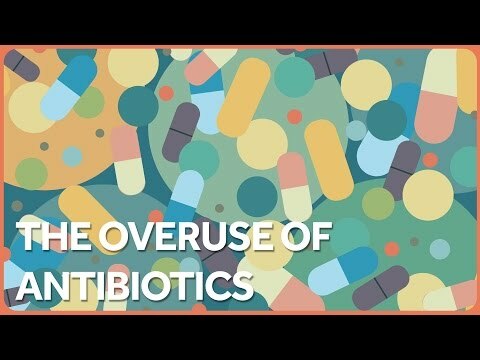 Here’s another great video from Healthcare Triage by Aaron Carroll, MD, on the overuse of antibiotics. I’ve posted on this topic a few times. Whether it’s physicians prescribing unnecessary antibiotics because they think it’s what the patient wants, or patients demanding antibiotics because it’s what they think they need, too many antibiotics are still being prescribed. I posted a couple weeks ago about how the prices of many generic drugs have been rising to crazy heights over the last 18 months. Here’s another post by a health care advocate with some more tips for trying to save money on generics. As I did my grocery shopping the other day, I ran into a large cardboard brochure holder at the end of one aisle. Literally ran into it. Why do store managers place these displays where they block cart traffic? Oh, right, to get our attention.